Lyon, France, November 17, 2016 - Novasep, a leading supplier of services and technologies for the life sciences and chemical industries, today announces it is extending its partnership with Japanese agent AR Brown to include commercializing Novasep’s chromatography equipment for the Japanese pharmaceutical industry. AR Brown has been representing Novasep’s synthetic and bio-molecules CMO services in Japan for the last two years. Under the agreement, AR Brown will now provide business development and technical services in the Japanese market for Novasep’s Prochrom®, Hipersep®, Varicol®, SupersepTM, BioSC® high- and low-pressure chromatography bio-process equipment. It will work in close co-operation with Novasep Asia, the Shanghai-based process development and engineering center at Novasep. Allied Labs, Novasep’s other agent in Japan, will continue providing equipment maintenance services. Allied Labs and AR Brown will collaborate in bringing further Japanese customer satisfaction. The agreement extension comes at a time when large Japanese pharmaceutical firms are increasingly shifting operations to produce biomolecules, an area being backed by government initiatives (Deloitte 2015 Life Sciences Outlook Japan). 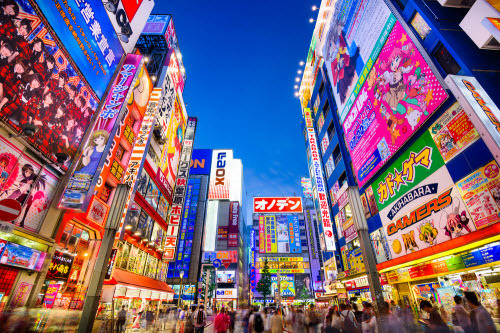 Known for its competitiveness and loyalty to domestic manufacturers, the Japanese market requires that international firms establish trust and build long-term relationships over several years before orders can be placed. “Our alliance with AR Brown has been successful. So, the desire to extend the scope of the partnership with them is a natural progression in our relationship. Novasep values the support that AR Brown brings in developing the sale of our equipment and purification services in industrial biopharma activities in Japan,” added Mr Lamproye. AR Brown Co., Ltd. has a long track record as a service and technology provider to the chemical, biotechnology, pharmaceutical, automobile and aerospace industries.